Brick Mantel Books, 9781941799338, 224pp. Some storms bring destruction. Others bring salvation. In 1934 the tiny town of Barmy, Oklahoma, is in desperate need of a miracle. The cows are hungry, the rain won't fall, most of Main Street is boarded up. Young aspiring trapeze artist Sugar Watson is dumped unceremoniously into this bleak setting with little money and only one thing on her mind-escape. Beulah Clinton, a Holy Ghost preacher, has dedicated herself to helping the distressed in this ragged little wasteland, and Sugar soon finds herself thrown in with Marigold Lawford, the simple-minded widow of the richest man in town, and Homer Guppy, a boy trouble follows like dust after a wind. Despite Sugar's immediate distaste of Barmy, Beulah's patience, Marigold's kindness, and Homer's unconditional love make her reconsider the meaning of home. On Black Sunday, the worst dust storm in history brings with it a choice: Sugar must decide whether or not to return home, leaving the hospitality-and love-of Barmy's inhabitants. 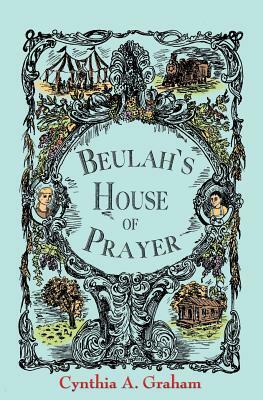 A stunning Depression-era literary novel with a touch of magical realism, Beulah's House of Prayer captivates until the very end.